As a digital marketer, you’re not in the business of keeping everyone happy… we get that. But, at the same time, no one likes disgruntled customers! At the end of the day, you are running a contest to build awareness for your business, generate leads, and develop long-term trust with prospects, so the last thing you want is for this effect to be reversed. There are a number of ways to pick a contest winner that are both fair and transparent, and for the most part, keep everyone involved happy, even if they don’t win. When I say everyone, I’m not just talking about the contest participants either. Your team and business are stakeholders in this scenario too. So it’s important to progress towards the objectives you set out to achieve with this interactive marketing campaign. Whether they are driven by branding, lead generation, sales, or customer success. As well as meeting your customers’ expectations. So, how do you pick a contest winner that keeps as many stakeholders as possible happy? Social engagement contests are fun and easy. You can use your social timeline to determine who commented, liked, or who enticed others to do the same, to determine a winner. If you are using a contest app, this makes it even easier. Your social friends will enjoy competing for a prize, and you will probably gain more followers in the process. Judging a contest winner by social engagement comes with little friction because it is subjective. Subjectivity is critical to keeping everyone happy. A judging panel is an effective way to choose a winner for your contest. With this approach, contestants submit their contest application and a roundtable of judges give their feedback and deliberate on which entry is the best. Example of a contest with a judging panel. The only problem with the judging panel approach to determining a winner is that some participants may feel the judges are biased. You can balance this perspective out by including the wider audience in the final winner selection. Once the entries are accumulated, you can share their entries on social media and have the audience provide votes and arguments on which ones are the best. Randomly selecting a contest winner is without a doubt the most subjective method. But it’s so subjective that some people think the subjectiveness is fake. I know … sometimes you just can’t win! The key to making the selection of a winner truly random is to leverage contest software to handle it for you. Taking humans out of the equation removes any unwanted bias and gives participants confidence that they have just as much chance to win as the next entrant. Much like the hybrid judging panel-audience selection method I mentioned above, this one takes the process public. This approach works best when entrants submit something that can be judged – such as a video, picture, or another piece of content based on a pre-set brief. Each participant is given a unique link to share their submission and have people vote for them. The person with the most votes wins the prize. Simple. An example of a contest where the winner is determined by popular vote. This way of picking a winner is a bit like a popularity contest. So, rightly or wrongly, some participants may feel like the quality of their submission is less important than their ability to attract votes. In saying that, it’s hard to argue about the subjectivity of this approach. After all, you aren’t picking a winner by yourself! This type of contest encourages participants to share the contest with a custom link, which is automatically generated by the contest software. For each new person who uses the unique link to sign up for the contest, the original participant acquires a point. At the end of the contest, the person with the most points (referrals) wins the top prize. 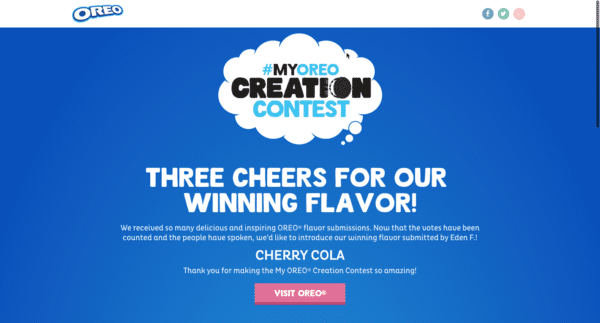 Choosing a winner based on referrals is a popular one with marketers because it organically encourages shares and contest sign-ups, which increases the contest’s reach. If done well this type of contest can go viral. However, much like the “Popular Vote” contest, this becomes a bit of a popularity contest determined by the reach and influence of an individual participant. Either way, just like the previous point, you can’t argue with its subjectivity. Some contests give away a number of prizes. These may be tiered prizes, all the same prize, or a regular prize, such as a weekly winner. This style of contest naturally keeps more people happy because you have more winners! Example of a contest with multiple winners. However, you may still come under scrutiny when determining a fair winner, even though there are several winners. The criteria can be based on how many shares, referrals, or a combination of things to get the most entrants into the contest – but consider the approach with the least amount of friction given your unique situation. 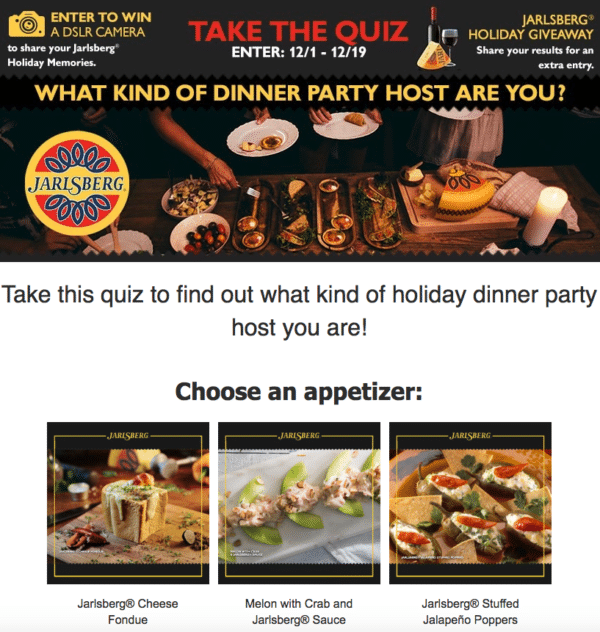 Marketing quizzes can unlock information about your potential customers more than almost any other form of marketing. They’re interactive, engaging, and intriguing-ly packed with qualifying questions. But they are also extremely enticing for potential contest participants. Participants see quizzes as an enjoyable experience that ends with them seeing their quiz results. Human beings hold a deeply embedded desire to attain results and compare them with our peers. To top it all off, contests camouflaged as quizzes are a sneaky way to keep everyone happy. 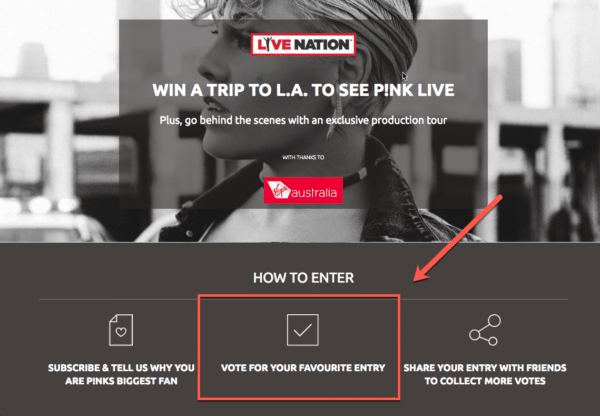 The entry to the contest is secondary to the interactive experience and results they receive. You attain valuable data about your customers, the customers have a good ‘ol time completing the quiz, and believe it or not… everyone is happy! Just as it sounds this type of contest rewards entrants with the chance to win more than once. It may be every day, week, month, or some other predetermined time frame. A number of companies use this form of contest to boost participation and sales during holidays or other events like back-to-school. When there is a chance to win a prize on a regular basis, contestants make a point to enter on a continual basis so their name will always be in the pool of possible winners. Naturally, the chance to win more than once is attractive to entrants, and because there is more than one winner, more people are happy. As with some of the other tips in this post, there is an underlying risk. 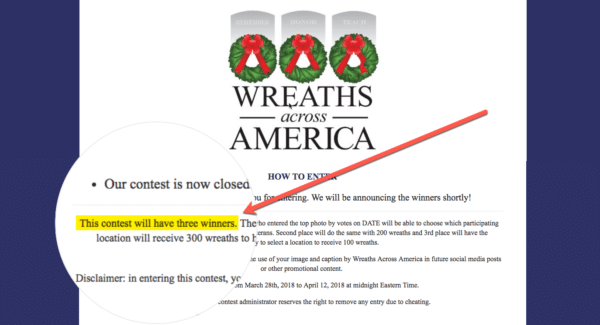 If someone enters the same contest multiple times and still doesn’t win, they may become disgruntled. So there is a strategic balancing act between keeping the contest running for long enough to pique interest, without keeping it open for too long and losing engagement. This is one reason you may choose to reward everyone that enters with a special offer or discount. The “best entry” contest is a longstanding favorite for companies of all shapes and sizes. It gives entrants the opportunity to showcase their creative skills for what is often a unique and compelling prize. Examples include a product naming contest or a design contest for a new product. The problem with best-entry contests is deciding who determines what constitutes the “best” entry. Whether this is based on a set of published quality criteria or the intuition or a judging panel, there is room for backlash and unhappy contestants. So, if you go down this path make sure you consider these risks and be as clear as possible with the winning criteria and stating who will select the best entry. Keep it simple. People should see your landing page, know exactly what the contest is about and how they can enter — in less than 30 seconds. Keep it fun. The best contests are laced with fun or humor. People love to participate in contests that make them laugh or do witty things that entertain others. Make it a memorable contest and they will always come back for more. Keep the audience updated. It’s best to keep everyone updated with reminders, countdown clocks, prior winners and other callouts that will keep them engaged. People love to know when winners are announced. The anticipation that it may be them is infectious, and a great motivator to keep entering. Keep your promises. If you say you will announce winners on a certain day, do that. If you have advertised certain prizes, those should be the prizes that will be given out. No one likes to join competitions just to find out it was a farce. Be truthful and authentic. Be quick to issue rewards. Again, it’s important to issue the prizes as soon as possible, as the credibility of the brand is at stake. Forcing winners to wait weeks or months to get a prize they won hurts your reputation and disengages your audience, especially if they make a big deal about it. Ready to run your next contest? How will you keep everyone happy?